This post is going to be a big one! I can finally share all I’ve been working on for the past 6 months or so with you guys! First of all there is the big news, Saila. She is the newest Maplelea Girls doll. 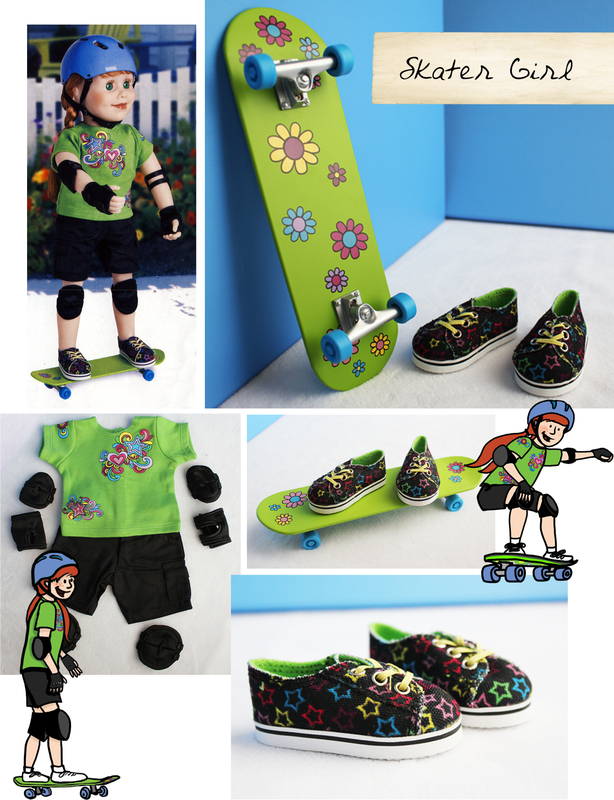 I did all the illustration and design work for this one, including fabric patterns and illustrations that are used on her accessories and outfits. It was a HUGE project, but obviously worth it since…. 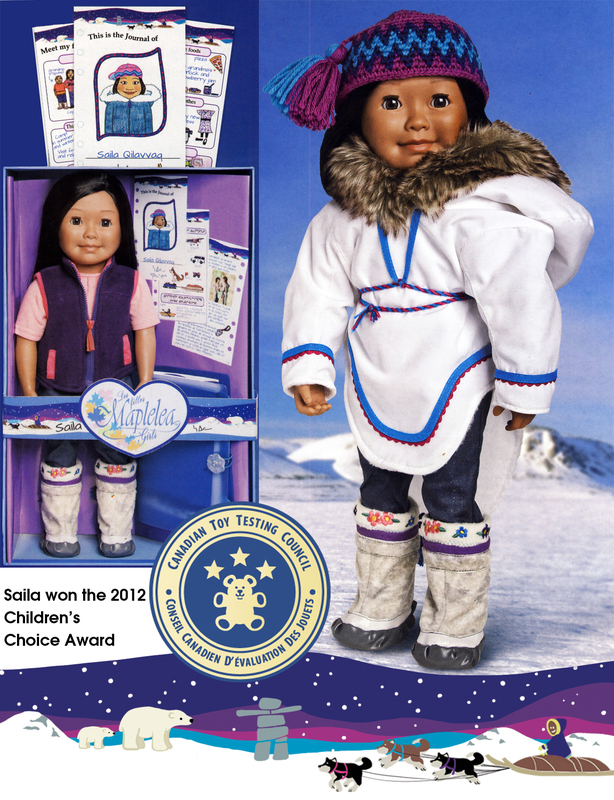 Saila won the 2012 Children’s Choice Award from the Canadian Toy Testing Council! And here are some examples of the journal pages. 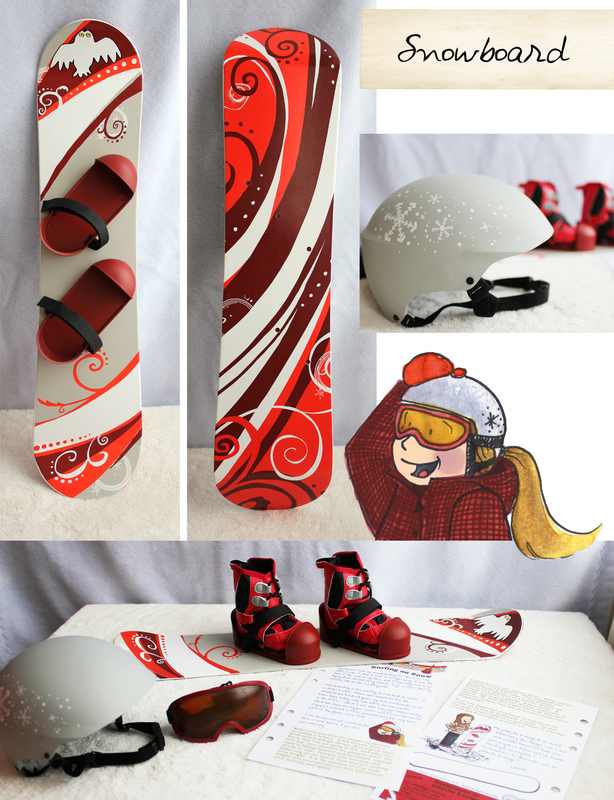 Again, all the illustration and design work was done by myself, BUT it is meant to represent Saila (the doll’s) drawings. This book is in three languages, English, Inuktitut and French. What a project! 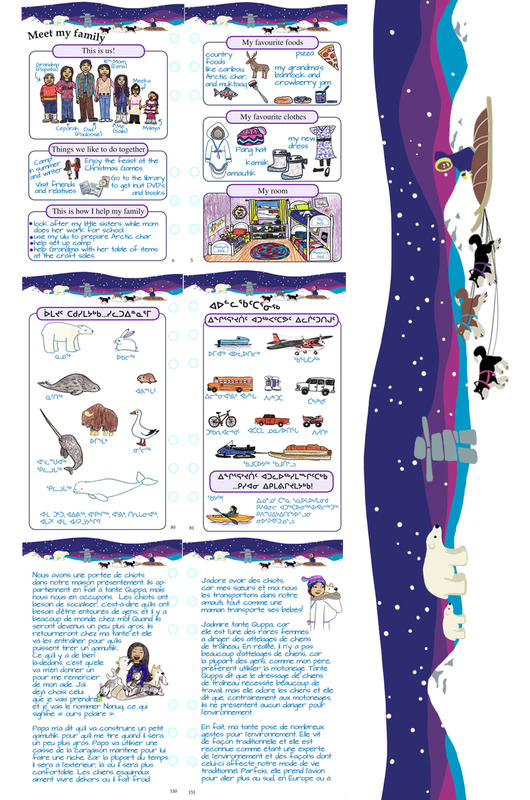 (click on the image to make it larger if you want to see details). 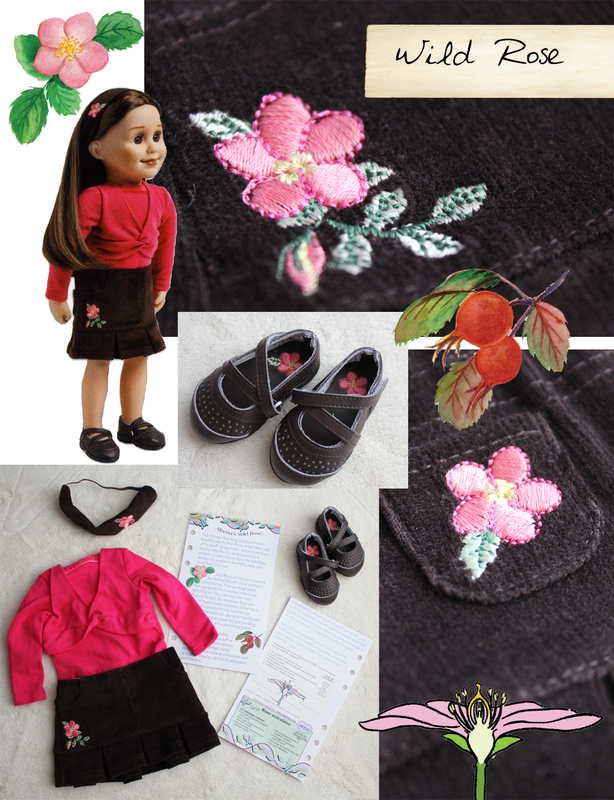 While this big project was going on, I was also providing extra journal pages (design and illustration) for the other dolls, as well as illustrations to be printed or embroidered onto other outfits. It’s so cool to see my work used this way, so much variety! What a blast! Congratulations Celeste! I am so impressed – your hard work has paid off and it shows! Fantastic job! Hard work and late nights have paid off, these all look great. 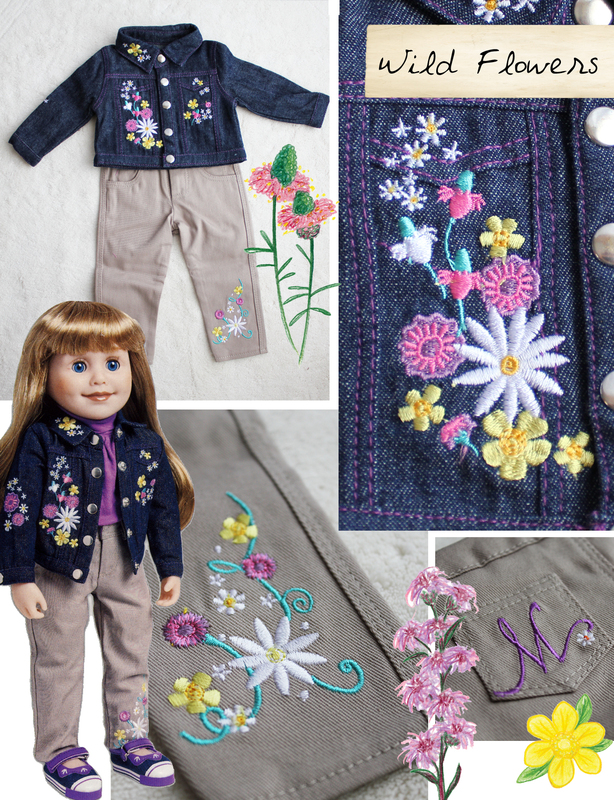 I am looking for cute girls sweaters to match my daughters dolls, any suggestions? those are cute! 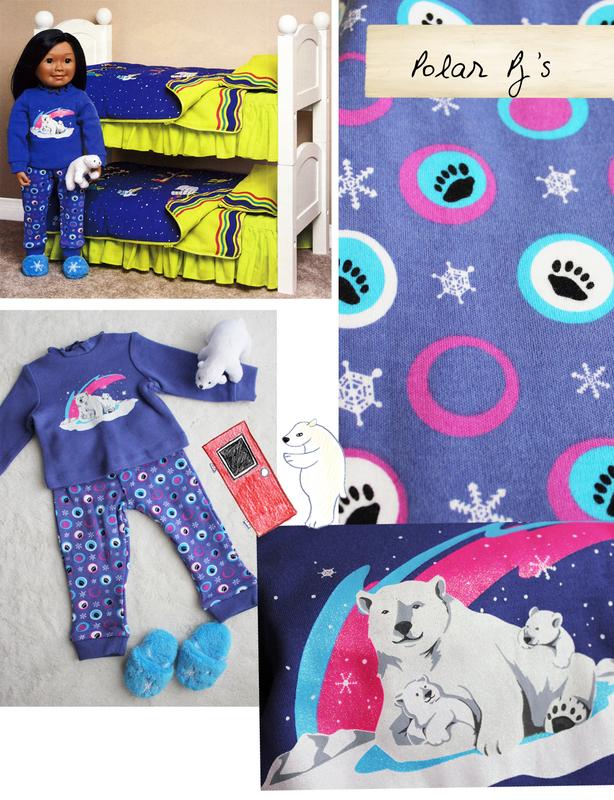 I don't know where you can get them, I know that Maplelea.com has a couple different shirts that match the doll and the girl, as well as the polar bear pj and slippers. but they don't have any sweaters (as of yet! who knows what the brains at Maplelea have in mind!) have you tried online? 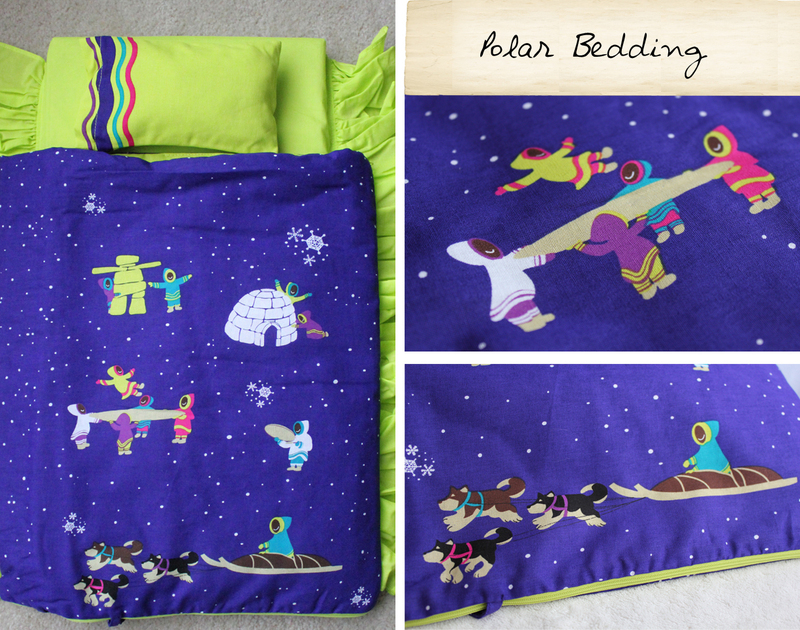 Or even getting something custom knit for you by someone at Etsy.com?